We private label further portioned meat products for large food distributors who see value in providing high quality portion control meat products to their food service customers under their own brand. We have been ranching bison in Wyoming since we bought & named it The Durham Bison Ranch in 1965. Namesake to our line of natural and sustainable specialty meats. 55,000 acres in north east Wyoming. Over 4,500 head of North American premier Bison stock which has been run for the last thirty years by John Flocchini, grandson of our patriarch Armando Flocchini Sr. It began in 1934 when Grandfather Armando Flocchini Sr purchased the company he had been working for (founded in 1890) and brought his sons into the business. Establishing a Name in Specialty Meat. 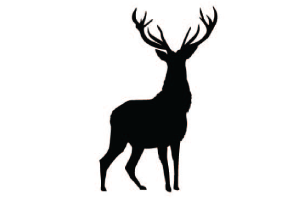 Sierra Meat Company was one of the first to begin importing farm raised venison from New Zealand. This quickly grew into a Specialty & Exotic Division of the company, which dominates the specialty game meat industry nationwide. Shifting Inland and Adding Fish. The move to Reno Nevada allowed for the custom construction of our state of the art facilities with room to grow. Adding seafood quickly became a passion while both our local and national distribution continued to expand quickly. 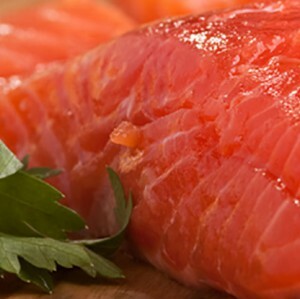 Now in its 3rd generation leadership, Sierra Meat & Seafood is focused on growth. We have expanded our reach into the Wagyu cattle industry and have brought a 3rd generation sausage making family business into the fold. Leadership is a natural direction for Chris. He takes the business and the relationships very seriously. Honesty and Integrity are an important part of his DNA. Focusing on growing the Specialty and Exotic Meat Division with her father has become a lifelong passion. With experience in every aspect of the industry, Bernadette is a driving force behind the company’s growth and success. Having grown up on the ranch, John’s passion is in perfecting the bison experience, from sustainable and holistic ranching practices to perfecting the optimum taste when served in four-star restaurants. He is currently passing the leadership baton to his very capable sons, Chris and Steve. Bud’s life has been fully immersed in the meat industry, including serving on the board of directors as president and chairman for Pacific Meat Jobbers Association, Western States Meat Packers Association, National Bison Association and currently as the Chairman of the Board of our parent company, Armand Agra. Also phasing out of a leadership role, Rich is turning the keys to the store over to his talented and experienced children, Bernadette, Rick & Patrick. His pioneering work in the Specialty and Exotic Meat industry is a legacy to be proud of, one that has shown exponential growth during his tenure and continues to push the company into new directions. The trained chef of the family, Steve applies his culinary expertise as the Durham Ranch Brand Manager. 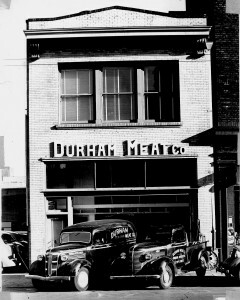 His eye for excellence is key to drive the Durham Ranch Brand of Specialty Meats into the future. Business happens when goods exchange hands. Patrick’s keen organizational and logistics focus keeps our shelves stocked, trucks moving and the best protein in the business headed straight to you. A butcher by trade, and a manager by experience, Rick runs a spotless & skilled production department where the meat of our business is born (pun intended!). Making his mark and stretching his wings, Steve J. is learning the business and finding where his skills are best suited. Organized. Focused. Strategic. Words that all fit the master behind the logistics machine. Raised with a love of good food and cooking, being drawn to the food industry was a natural fit. Working with the marketing team has been a terrific way to utilize her strengths in the family business and support growth as the next generation begins to push the company’s success into the future.